This is a procedure normally used when a tooth is compromised and has an infection or abscess which can often cause a bad taste in the mouth. 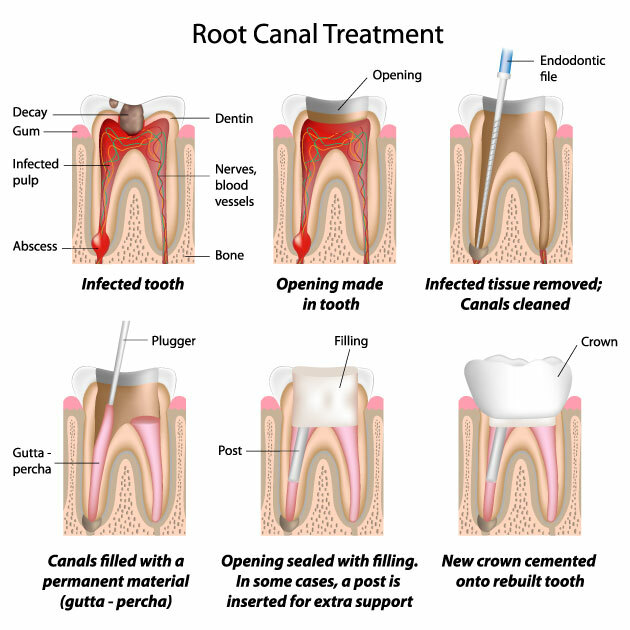 Performing a root canal treatment removes the live root of the tooth and gives access to the tip of the root where abscesses normally form. This way, the abscess is treated and the tooth is normally saved. Treating a tooth this way is often the last chance to save it before extraction is considered. We cannot possibly list every treatment our doctors perform and many other treatments are also available. Please contact us if you do not see what you are looking for.